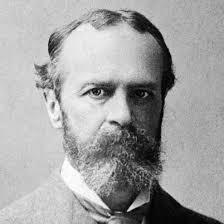 William James Functionalism research paper examine the American philosopher and psychologist who was one of the leading proponents of functionalism. American philosopher and psychologist William James was one of the leading proponents of functionalism, the theory of mind maintaining that various mental states are comprised of their functional role and are realized on multiple levels. Philosophers, including William James, used the term in at least two ways. The first refers to the study of how the mental processes operate. The other meaning refers to how mental processes operate within the evolution of a species. Paper Masters can compose a custom written research paper on William James and Functionalism that follows your guidelines. Consciousness could not be broken down into constituent parts. Mental activity, James believed, was in a constant state of change and flow. Functionalism serves as the link between the mental process and the behaviors of humans. Functionalism was a direct response to the philosophical school of structuralism. Structuralism wanted to analyze the mind in terms of its component parts and how they fit together. Later functionalists, including John Dewey, preferred empirical thought over experimental psychology and would greatly contribute to the rise of behaviorism, best represented by the work and teaching of B.F. Skinner. Consciousness Science has become a greater focal point for research, allowing us to more fully understand the inner workings of the mind and how the body reacts to a host of stimuli. B.F. Skinner Theory term papers study Skinner's theory of 'radical behaviorism' that received large amounts of both praise and condemnation. Order a research paper on Skinner from Paper Masters. Paper Masters writes custom research papers on William James Functionalism and examine the American philosopher and psychologist who was one of the leading proponents of functionalism.